The St. Louis region offers a unique combination of corporations, government agencies, universities and nonprofits with a focus on cybersecurity. We are positioned to become a nationally recognized region for collaboration and thought leadership. 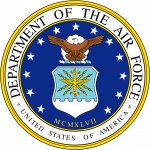 Scott Air Force Base is home to many major commands like United States Transportation Command, Defense Information Systems Agency, and 375th Air Mobility Wing. These units lead efforts around the globe in cybersecurity and provide a wealth of knowledge and talent for the community. The base creates over 6,800 jobs for the region. Many of those focused on cyber. The National Geospatial-Intelligence Agency is the nation’s primary source of geospatial intelligence, or GEOINT for the Department of Defense and the U.S. Intelligence Community. As a DOD combat support agency and a member of the IC, NGA provides GEOINT, in support of U.S. national security and defense, as well as disaster relief. With over 30 four-year colleges and universities enrolling more than 125,000, the St. Louis area produces more than 25,000 graduates with bachelor’s, post-bachelor’s or professional degrees each year (NCES). The area also has an extensive network of community colleges, which enroll an additional 65,000 plus students, as well as vocational and technical training facilities and some of the most highly rated elementary schools and high schools in the country. As a result, Greater St. Louis is a great learning environment in which to grow up, as well as a sought-after destination for thousands of people from around the country — and the globe — who are attracted to its top-tier education resources every year. Greater St. Louis also includes strong small and mid-sized business communities. Recent progress in landing startup companies, coupled with nearly $1 billion in venture capital already invested in technology firms since 2013, is establishing St. Louis as the center of innovation in the Midwest. For startups, the resources are terrific. The region has numerous business incubators where fledgling firms can find advice, nurturing, and inexpensive office and lab space; additional information regarding entrepreneurial resources are available. In 2015 Popular Mechanics named St. Louis number one out of the “14 Best Startups Cities in America.” In the two years since it was formed, the Regional Entrepreneur Exchange, or T-Rex as it’s known, has grown to over 100 companies with 80,000 square feet of co-working and incubator space in downtown St. Louis. Capitalizing on a base of major investment firms headquartered in St. Louis and the increasing integration of information technology and financial services, the region’s financial services sector has received national attention for its growth. An exceptional mix of investment companies lead to the sectors quick recovery from the great recession. The cluster, employing 81,500 in 6,200 companies, is aligning to become an increasingly competitive force in the national market. This cluster is a large and comprehensive, with businesses spanning the health care value chain; from insurers, healthcare providers and facilities to product manufacturers. This industry cluster has consistently added jobs since 2004, employing over 195,000 in over 6,500 companies in 2012. With its world renowned scientists, research institutions and bioscience companies, St. Louis is a center of innovation, producing cutting-edge research in the medical and plant sciences. Taking the lead in growing this industry cluster, BioSTL fosters collaborative efforts to advance innovation & entrepreneurship that build on St. Louis’ world-class medical & plant biosciences. The Multimodal Logistics Industry cluster is an integral part of the region’s economy, supporting the manufacturing base as well as distribution sectors with inbound and outbound shipments around the country and the globe. The cluster’s assets include the region’s geographic location, infrastructure, workforce, and existing businesses. St. Louis ranks as the 9th most cost-competitive location to do business among 31 U.S. metros with populations exceeding two million, according to a study released by KPMG LLP in 2014. St. Louis ranks as the 7th of the “Top 10 Large American Cities of the Future 2013/14 – Human Resources” in Foreign Direct Investment (fDi) magazine’s ranking, which includes over 400 cities throughout North America and Latin America. The percentage of St. Louisans age 25 or older with bachelor’s degrees or higher — more than 30 percent — exceeds the national average, according to the American Community Survey 2014. MarketWatch named the St. Louis metro area the 26th “Best City for Business” for 2014. The list was compiled after ranking the nation’s 101 biggest cities by number of companies per capita, employment picture, growth and GDP for economic stability.